*** UPDATE! Please note that Malaysia’s GST has been reduced from 6% to 0% with effect from 1st June 2018. You should still follow the instructions below to claim any GST paid on purchases made until 31st May. Claiming your GST Refund Malaysia is not difficult, but you need to know what to do before you make your purchases to ensure that you have your tax invoice, from an approved sales outlet. Since April 1st, 2015, Goods & Services Tax has replaced Sales and Services Tax in Malaysia. The Tax has also been extended to many items previously not attracting the SST. The list of items that remains GST free includes fresh foods, books and magazines and many other items not easy to list. However, when you make a purchase, the GST must be added to the item where applicable and shown clearly in the Tax Invoice. As Malaysian is a shopping haven for tourists, this may impact upon your pocket so this short guide will hopefully assist when you want to claim back the GST you have paid. Remember, Malaysians are still getting used to this new tax, so if you are confused, you aren’t the only one. Only bona-fide tourists cam make a claim for the GST paid. You must be carrying a valid passport. Foreign diplomats permanently departing Malaysia and carrying a document to that effect. Passengers departing Malaysia by air from one of the 8 international airports in the scope of the TRS. The eligible goods have been purchased during the 3 months prior to the date of departure. Students in Malaysia on a student pass, whose entitlement under the TRS is like any other foreign tourist. The total purchase must be least three-hundred Malaysian Ringgit (MYR300) (GST inclusive), made at the same Approved Outlet. Accumulation of purchases is allowed if purchases are made from the same Approved Outlet on different days. The eligible goods must be taken out of Malaysia to another country as either accompanied (hand carried) or unaccompanied (checked-in) luggage. You are a Malaysian citizen or Permanent Resident, even if you are leaving for an extended period. You have been employed in Malaysia at any time in the 3 months preceding the date of purchase of the eligible goods. You are a member of the cabin or flight crew of the aircraft on which you are departing Malaysia. Show your passport to the sales assistant/cashier to prove eligibility for a GST refund under the TRS. Collect an original tax invoice or receipt for the eligible goods purchased. Collect and complete an original refund form which you must get from the sales assistant/cashier at the store and ensure that the refund form is completed correctly. You cannot get this form later at the airport. The total amount paid for the eligible goods, inclusive of GST, the total amount of GST refundable, the amount of the administrative/processing charge/fee and the net amount of GST refundable to the tourist. 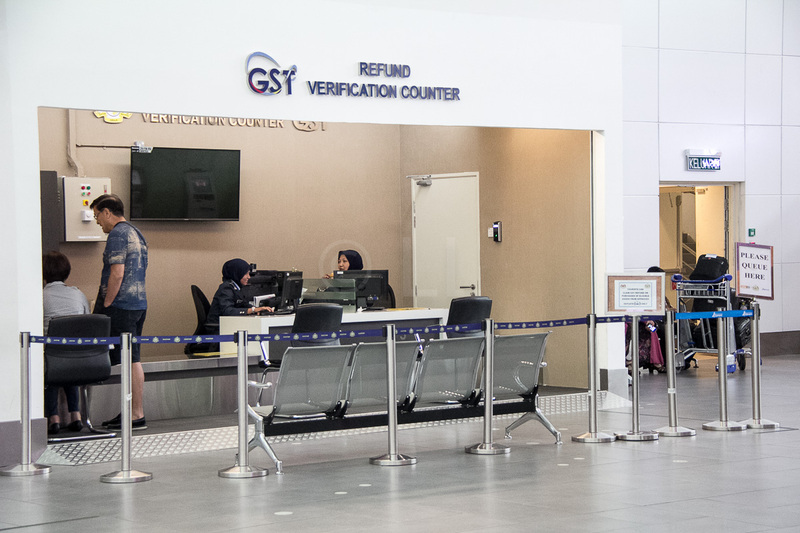 Hand Carried luggage – present the goods and the original refund form(s) at the GST Customs Refund Verification Counter in the Departure Hall located after Immigration Control. Check if there is a counter before Immigration Control as some airports have both. Checked luggage – declare bulky items you have packed in checked luggage, with relevant documents at the GST Customs Refund Verification Counter before checking in the goods at the airport. The GST refund transaction must be validated by the Customs Officer before the goods are checked in as unaccompanied luggage. For flights departing from the Budget Terminal (KLIA2), both hand carried and checked items must be presented with relevant documents and confirmed air ticket to the Customs Officer at the GST Customs Refund Inspection Counter located in the Departure Hall before check in at the Terminal. 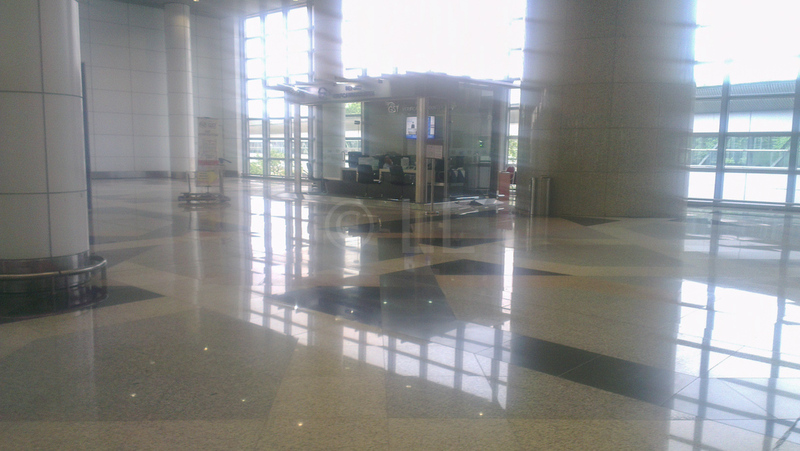 In KLIA, the counter is on Level 3 – Arrivals (see photos below) at the same end of the terminal as Departure Rows A/B. You need to go down in the lift to get there. If the Customs Officer is satisfied that all conditions for validation of the GST Refund have been met, the Officer will endorse and return the original refund form to you. Then you may proceed to the Approved Refund Agent’s Counter to obtain the GST refund. if you prefer, post the validated original refund form in an envelope collected from the Approved Outlet and post it to the Approved Refund Agent to process the GST refund within 2 months of RMCD’s endorsement. You may also drop the refund form in the mail box located near the GST Customs Verification Counter airside before departing from Malaysia. You have a 2 month window for the forms to reach the agent. through a bank cheque if neither of the previous refund options is feasible. What if I don’t get my refund as expected? GST Refund Forms are processed by Global Blue in Slovakia as appointed by the Malaysian Customs. After verification near the check-in counters, you need to go to the Approved Refund Agent Office displaying the IRIS Global Blue Logo located after you pass into the security area. You should either receive your refund (up to MYR300) in cash, or paid to your credit card within 5 days. If you prefer to mail your completed Customs validated GST Refund Forms to Global Blue in the envelope provided, your refund should be paid to your credit card within three weeks. If you want to track your refund, or make an enquiry, there are a few ways you can contact them and they have link on the page to a Refund Tracker. Purchase only from an approved retailer. These outlets will bear the TRS logo, Tourist Refund Scheme (TRS) Logo. If you buy in a shop that does not participate in the tourist refund scheme (TRS), you will be able to claim any tax refund. Make sure you have your passport with you when you shop as the approved outlet will need this proof. Make sure your receipt is machine printed and shows the tax paid and it is clearly identified as a Tax Invoice. Ask for the tourist refund form from the approved outlet. The outlet will enter your passport details into the TRS system. They may charge a fee to process the tourist refund. You are only able to get a tourist refund form from the outlet where you made the purchase. You cannot collect it from the customs officer at the airport. 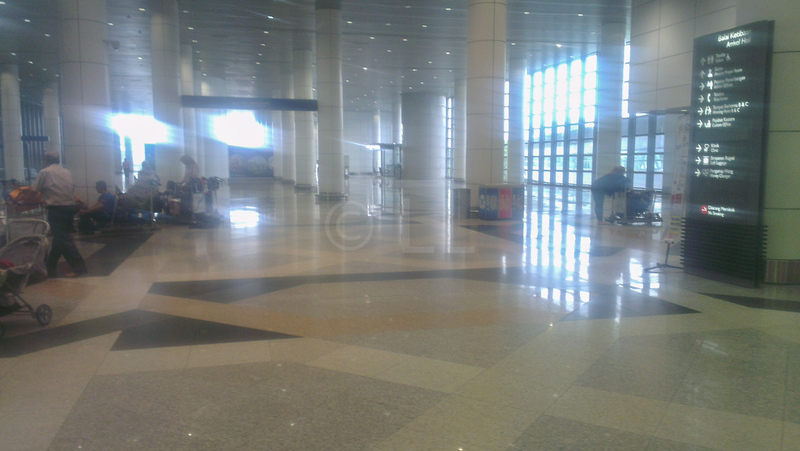 Claims can only be made at one of the eight International airports in Malaysia. They may not be made at road, ferry or cruise terminals. As you need to present your passport to collect the claim form from the store, it appears unlikely that online stores will be included in the list of Approved Outlets. For more information of how to identify an Approved Outlet and the Claiming process, please check the Malaysian Customs website. This link takes you to the English language version. To check if a company is an Approved Outlet, the Malaysian Customs Dept have provided this link. Once it opens, click on the choice as highlighted in the picture below. You can check by GST number, Business name or the Business Registration number. I am international PhD student at UTM, Skudai, Malaysia. I want to ask , can online shopping receipts of stuff bought from Lazada.com.my or other online websites, be used for refund ? Hi Murad, I’m trying for find out conclusive answers for you, but from the information I have managed to get from official sources, there are a number of difficulties associated with the scenario you have presented. The definition of an Approved Outlet as given by the Malaysian Customs, is an outlet that is registered with the Customs to collect GST. They will need to issue a Tax Invoice for the goods purchased before you can make a claim. However, as you need to present your passport to prove you are eligible to make a claim and collect a claim form, you will not be able to do this over the internet. The other thing you need to remember, is that as you are an International student studying in Malaysia, you may only claim refunds on items bought within the three months before you leave permanently. You may not make a claim if you go home for a holiday and return later. I hope this helps. Hi but how can we get the GST Refund Forms from Lazada because when I contacted them regarding this they said that they don’t have the authority to get the forms and I can only get it at the airport or by emailing the GST office and requesting for the form but I dont seem to find their email anywhere. Your advise on this will be appreciated. If the company is not on the list, they are not approved under the act to issue the forms. Do they provide a tax invoice listing the GST paid? This is what you would need to show the Customs officials to get a definitive answer. Hi, As is noted in the article, it may take up to two months for your refund to be credited. However, if you still don’t receive it by mid November, I suggest you contact the Malaysian Customs through their website http://www.customs.gov.my/en – there is an email address at the bottom of the page. Otherwise, check if there is a contact email on the copy of the form that you have. Good luck. Refunding by cash does not exceed RM300. In this case, I need to choose the option of refunding to my credit card. But what if I pay RM10,000 totally by cash (without a credit card) or half by cash, half by a card? Can the refund RM600 paid to my credit card even I do not use it to shop? Hi Joey, It’s our understanding that this would be the case and that it doesn’t matter how you actually paid for the purchases, it is your choice how you receive the refund, according to their guidelines. Im from Brunei, can i claim my refund GST whn im using the domestic flight thru Miri? If can, whr i can refund it? I suggest that when you go to the airport, you check at the GST Claims counter (in KLIA and KLIA 2, these are located near the international check-in counters). The staff there will be able to either confirm this information, or explain how you may claim. Hi. I am an international student. I am going to finish my course soon and will be leaving Malaysia soon. And I want to purchase a cellphone before I go. The cellphone will be roughly 2700 ringgits. So am I eligible for the refund? Please reply me asap. Waiting on your advice on my scenario. If you are in Malaysia on a Student Pass, you should be able to make a claim, as long as you follow all the requirements and purchase from an approved retailer etc. You would be covered under this point “Students in Malaysia on a student pass, whose entitlement under the TRS is like any other foreign tourist.” Make sure you make your purchase within the last 3 months of your stay in Malaysia. I have checked with the staff at the counters. They are open 24 hours and there will always be someone on duty. This is the case in KLIA and KLIA2. You’re welcome. Enjoy your holiday. I want to claim the refund, i have 2 form, first is claiming refund using cash and second is using credit card, is it possible? second question, do i need to show the item i have bought as a proof or the receipt and printed form from the registered merchant is enough? Thanks in advance for ur answer. As per the information provided from the authorities, “The total purchase must be least three-hundred Malaysian Ringgit (MYR300) (GST inclusive), made at the same Approved Outlet. Accumulation of purchases is allowed if purchases are made from the same Approved Outlet on different days.” – you can only get a refund of up to RM300 in cash (that would mean you’ve spent RM5000 including the GST in various approved outlets, provided each is at least RM300), the balance would be paid to your credit card (or by bank cheque). You do need to show the goods you have purchased to prove that you are actually taking them out of the country. The counters are near the check-in rows at all the airports, so go there before you check-in.Make sure you allow enough time in case they are busy. The counters are open 24hrs a day, seven days a week. My niece flew out of KLIA on 3rd Feb 2016 and didn’t get a cash refund for her GST, although the refund was below RM300. Since she didn’t have a credit card, she called me in Australia and I provided her with my Credit Card details. She has got a receipt from the GST people at KLIA, but to date the money has not appeared in my Credit Card. Could you kindly advise me what to do? Thanks. The Customs Department website is silent on how long the refund will take, so I have sought clarification from them. I’m surprised she wasn’t offered the refund in cash if it was below RM300. As soon as I have the information,I will add it to this reply. Thanks for your prompt reply and provided details. I truly appreciated it. I’m happy to say that the refund did come through, credited into my Credit Card on the 15th Feb from Global Blue Tax Free Malaysia. It did incur an overseas transfer fee of A$1.14, so others who read this post will be informed. So all’s well that ends well, though I too am surprised that she wasn’t paid in cash the RM130 or so. Take care, Lesley, and keep the great feedback and assistance going. Thanks for your support and kind words as well as your helpful advice about the overseas transfer fee. My husband is seeing a health professional for his services and he has advised us we have to pay 6 percent GST. Is it possible to claim back the GST on departure from Malaysia. We are tourists and hold foreign passports. Kindly advise what we have to do. Thanks. That’s a tricky one. I’m assuming both you and your husband are non-Malaysians. However, as the refund scheme is based on the purchase of items that can be taken out of the country and produced for inspection at the verification counters at the airports, as well as having a tax invoice from an approved seller, I would suggest that you possibly wouldn’t be able to claim. I’d say that your best bet here would be to contact the Tax Department directly from the link in the article and they would give you the appropriate advice. I’m an MM2H (Malaysia My Second Home) visa holder. Will I be able to claim a gst refund when I’m leaving malaysia (i will be returning in a few days). All other conditions are met. Just can’t find any info on how they treat my visa (if I’m considered same as student pass holders, or I’m not eligible for refund). Urgently nees this info pls. Many thanks. I believe you’re in the same category as other temporary residents – students and work permit holders. However, if you already have bought the items from an approved outlet and have the receipts, there’s no harm trying your luck when you get to the airport, they can only say ‘no’. Make sure you leave plenty of time to see them, the counters aren’t usually busy, but if you are leaving through KLIA, you have to go down to the Arrivals Hall to find them. I am a Malaysian citizen with Aust PR and I reside & work in Aust permanently. I am back in Malaysia for a holiday. Am I eligible to claim GST refund for purchases RM300 & above? Thanks. Going by the conditions listed, I would say probably not. However, there is no harm making sure that you have the paperwork for your purchases from approved retailers and go and see the officers at the airport when you are leaving. Hello. What are the operational hours for the refund offices in KLIA? I went to Penang and bought some stuffs. After that I visited KL and bought other stuffs too. My question is, can I get the tax refund from the stuffs I bought in Penang? Because I wanted to get my tax refund in Penang but I didn’t go through the immigration because I flew to KL. The day I went to KL I did go to check my things in the global tax services and they told me to get my refund at a bank counter. But then when I went to the bank counter they told me to get the refund after the immigration. I didn’t fly back to Indonesia so I didn’t go through the immigration. So, can I still get my refund in KL? may I know GST claim counter will open 24 hours is it ? I’m a Saudi tourist , I have purchased many things through daily live including foods , drinks, hotel payment etc, I only got the invoices showing the 6% GST amount , non of them asked me about the claiming form , and I don’t know about it. Am I eligible to claim GST 6% at day of departure (after tomorrow). The total amount around 10000 ringgits. Sorry, you can’t claim for this type of purchase, it’s only for things to can take out with you, not consume while you’re here. Can any tax be refunded on hotel stays? No, sorry. You have to be able to show them that you’re taking your purchase out of the country, so your hotel stay wouldn’t be included. Many tks f your article. However, may I know if a foreign expat housewife living in Msia & also constantly travelling bk to her mother country holding a foreign passport but has a Msian Dependant Pass able to still claim GST? If flying within 6 wks at a time – is it still possible to claim? Reading the rules as they are written, you’d only be eligible when you leave the country at the end of your husband’s contract. There’s no harm asking the people at the counter though, the next time you travel. They are very helpful and aren’t usually so busy they can’t explain things to you. Hi Cindy, The goldsmith would be best able to advise you on this as they will by now be familiar with the procedures. I suggest you could also contact the Malaysian Customs on the link in the article. There may be some restrictions on Singaporeans. Do note that your travel will need to be from the designated exits. I have few question regarding the verify counter for gst. The last time on november i was in klia the counter was provided after immigration counter, so there was no other to show the things that i already packed into my check in baggage. I need your advise, is the counter in level 3 arrival halls for verify the goods for gst claim is still there? Hi, As far as I know, it is still there. I don’t know why they have it on the Arrival level, the officers weren’t able to tell me either. I would suggest you ask the people at the Information Counter before you check in, there will definitely be a counter you can have the goods checked before you check-in. I want to ask something GST refund . I bought an iphone from malaysia and i ve claimed my GST at the airport . The GST refund counter from airport gave a voucher to claim 200 rm in cash from Global Blue counter inside the airport . So I went there but the staff didnt give money in cash and asked my VISA card .She said money will be sent to my visa card . It was jan 22 , 2017 . Now it is already 5 days. I didnt receive any money . How should I do ? I dont have any receipt because i already gave it to them . Please reply me . It does say the refund should be made within 5 days. I suggest you wait a few days as it’s currently a public holiday in Malaysia for the Lunar New Year. If you still don’t receive your payment within another week, please contact the Customs department/Global Blue directly as advised in our story. I will be traveling tomorrow & would like to know where is GST refund counter found in KLIA2. How many hours before should I reach the airport to get through all the procedures? As you enter the Departure Hall, turn right after the Nyonya restaurant. The verification counter is on the right of the corridor, just past the Bag wrapping service. There doesn’t ever seem to be much of a queue, so give yourself an extra half an hour at least, on top of your check-in time. Do the verification before you drop off your baggage. The Global Blue counter for the refund is inside the Departure area after you’ve passed through Immigration and Security. There is one counter at the near pier and another at the satellite pier. Thank you. I’ll give you a feedback tomorrow. I made it successfully for the refund & got the money credited into my credit card within 5 days. There weren’t many people at that time & it took me less than 10 min for the verification. I bought some perfumes from Parkson and they told me I can refund the tax when leaving Malaysia. The thing is that , I was only handed the original receipt without the form. Can I still refund or I must go back and ask for the form. Take your passport with you to show that you are eligible. Noted , and thank you for the good article and thank you for answering all the questions. I was running late for my flight and didn’t get time to go to the gst refund counter. My refund amount for 2 forms is 295 RM. Now I am not in Malaysia and back to home country. Is there a procedure for such cases? “If you want to track your refund, or make an enquiry, there are a few ways you can contact them (http://www.globalblue.com/contact-us/) and they have link on the page to a Refund Tracker.”. Hi, I will be in KL this week to purchase a laptop (RM 8499 already including the 6% GST) from EpiCentre, an authorized outlet. When I called the store to check on the availability of the item and price information, etc, they said that the GST amount I would get back is only 4.8% because in Malaysia there is a service charge of 1.2%. Is this information correct? Also, since 4.8% is equal to RM 408, does that mean I will get RM 300 in cash and the leftover RM 108 as a credit to my credit card? Hi Sam, This is the first time I’ve heard of any additional service charge related to GST. There is nothing about this in the government site, so I think you should ask them who imposes this charge, as they aren’t simply entitled to deduct it either. What they might be referring to is the habit some businesses have of adding their own service charge to the agreed amount if you wish to pay by credit card. It is common, though not strictly allowed. I believe you should get your RM300 in cash and the balance returned to your card, although a number of people have reported that the whole payment was made to their credit card. I suggest you allow enough time to bring this up with the Global Blue staff when you see them, after getting your purchase verified by the customs staff. I’d be interested to know what both the Customs and Global Blue people have to say about this. Cheers. As far as I know, the shops within the security area (i.e. transit areas included) are duty free and as such, you wouldn’t be paying this tax, so the issue shouldn’t arise. If the tax is charged, the shop would be able to assist with the claim, as you obviously wouldn’t be able to make the claim in the usual way. Before i go to the GST verification center, can i do the web check in first? Or should I check-in in airlines counter in the airport? Yes, do your web check-in as usual. Just go to the GST verification counter before you drop your bag. the same case with me. i just get receipt id so i can’t use the refund tracker because it need 16 or 20 digit number and i dont get that number in my receipt. where we have to complained about this? in receipt, stated that it tooks 5 days to process and now its already 10 days. i already checked to my credit card officer and they said no pending item. I suggest you scan the receipt and contact them through this link: http://www.globalblue.com/contact-us/. They should be able to explain what the problem is. Hi Freddy, Congratulations and good luck with your proposal. Unfortunately, you won’t be able to claim a refund of your GST – the conditions explicitly state that you may not claim if “You are a Malaysian citizen or Permanent Resident, even if you are leaving for an extended period.” The sales staff should have noted this when you made the purchase as you need to show your passport. However, if you were given the form and have the required tax invoice, there is no harm going to confirm this at the verification counter when you get to the airport. We’d be interested to know if they have actually relaxed this clause. I am from Indonesia and will be going to Singapore for holiday. Although, I will have a half day to shop at Johor Premium Outlet. I will be using car to cross the borders. So, if I buy something exceeding RM 300 at JPO, will I be able to get a GST refund at the Malaysian border? Or is it specifically by using airlines? Hi Oman, I’m afraid not, sorry. As a result the claim counters are only located at the eight airports covered by the ruling so you wouldn’t be able to find a counter if you are crossing top Singapore by land. i am Indian,working in Malaysia,Recently my sister and brother in law visited to Malaysia as a tourist ,and they planning to purchase gold and want to use my credit card to purchase ,can they refund GST in airport and can give my credit card details for the refund? If your credit card is a foreign bank card, there should be no issue. If it is issued by a Malaysian bank, they may query that, so it would be wise to contact the Customs department directly – the contact information is in the article. As they share the same GST registration number, it should be fine. They should have given you the GST refund form when you made the purchase. I suggest you go back to one of the stores to check and collect the form. Make sure you take your passport with you to show you are eligible. I am a Malaysian citizen with PIO status as I am now residing in India. I have been a permanent resident of India since 1975. I come to Malaysia to see my family once in a while. Am I eligible for GST refund for jewellry or apparel purchases? Any information will be highly appreciated. Going by the rules, Malaysian citizens aren’t eligible. I would suggest that if you are travelling with a non-Malaysian citizen who doesn’t have Malaysian PR (they are also not eligible) have them make the purchases in their name with their passport. That would be your best option. I Am Ahmed. Tourist, I book flight from Penang to Chennai. ( Transfer in KLIA). i bought jewellary in penang. Shall i verify and claim GST in penang Airport bcs in KL i will stay one hour only? is it penang airport GST counter open 24 hours? and another question My flight time is early morning from penang so can i verify one day before? Thanks and waiting for your reply. The GST counters at the airports are open 24 hours so do it at the airport. It should be possible to get the verification done the previous day, but your items will be sealed by the Customs and you will have to show them again when you check in for your flight. It depends if you are checking in for your whole journey in Penang, or collecting your bags and checking in again in KLIA. If you are checking all the way through, you should go to the GST counter at Penang International Airport before you check in. If it’s the second choice above, the people at the Penang counter can explain where you should go to make the claim in KL. I hope this helps. Ya i understand. My GST claim is above RM300 only. so i prefer to get by Credit Card Account only. If like this mean can i send the Custom Verified Document through email for claim? or is there any way? Because in KLIA i will stay 1 hour only. I cannot go to Claim office also. I need ur Suggestion. And also second question after verified the document can i put my jewels in my checked luggage. it not affect the claim GST right? Waiting for ur kind Reply. It would be best to check the official website (the link is at the bottom of the article). I suggest you call them if you are still unsure where to submit your claim. I am working in Malaysia from last 3 years and I am going back to my home country by completing my service within 15days by canceling my EP(Employment Pass). I am planning to buy a mobile phone in the last week of my travel. Hence I am going back to my home country permanently, can I able claim GST on it? Please advice. Going by the information you’ve given – leaving permanently, proven by your cancelled EP, you shouldn’t have a problem claiming your GST Refund. Don’t forget to take your passport when you make the purchase and get all the forms correctly completed at the store. All the best. I have 1 more query, I am planning to buy a mobile phone from Lazada/11Strret(Online). I didn’t get any GST form from them. I will get only invoice copy from the site. By showing that invoice copy at the counter will I able to claim my GST? or do I need to download GST form and fill it by myself? That one I can’t advise you on, sorry. The Invoice has to clearly state that it is a Tax Invoice. The best way to check if you can download your own form would be to call the Customs Department (the information is at the bottom of the article). They would be able to advise you. Hi Suman, did you get refund in your case ? 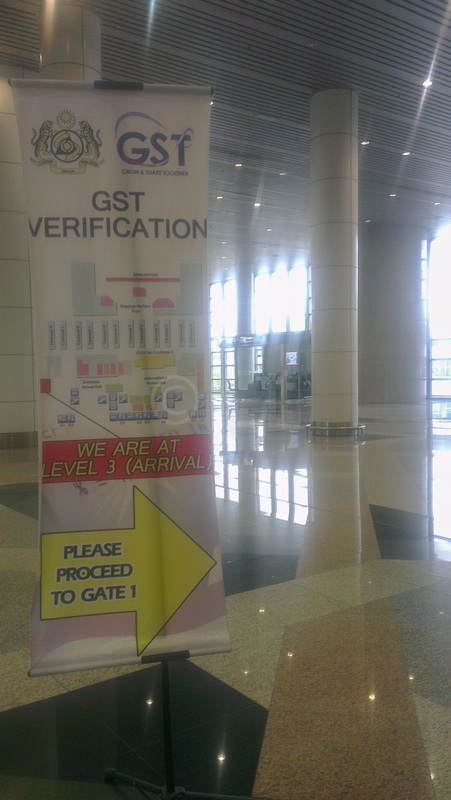 Can i refund gst in kuching sarawak international airport? Or only in KL airport? As stated in the article. “Claims can only be made at one of the eight International airports in Malaysia.” – Kuching International Airport is one of the eight international airports, so you can make your claim there. I have a query on GST refund. I am working in Malaysia and as my contract is finishing this month end, Iam travelling back to India. I have purchased some electronic items and household items from lulu hypermarket in malaysia. As I have lot of old household items, I sending them through a separate cargo service company to India. I have also included these new purchase items in this cargo and I am not physically carrying with me in aircraft. Lulu hypermarket informed me that they will register the goods I purchased for GST and provide me the registration number. Since Iam physically not carrying the goods with me and I am permanently leaving the country after working, am I eligible for GST refund based on the original receipts produced at GST counter at airport. Appreciate your help in this regard. Suggest other options to claim GST, if any. Based on your information that “Since Iam physically not carrying the goods with me“, it is most likely that the claim would be disallowed. Please see “The eligible goods must be taken out of Malaysia to another country as either accompanied (hand carried) or unaccompanied (checked-in) luggage.” – the second last point under ‘Who can claim‘. I suggest you contact the Customs officers directly, either at the airport, or by email as in the article, if you need confirmation. As per discussion with customs call centre. During first call they informed refund is possible but purchased items need to be produced. However this call got disconnected. During second call they informed that gst refund facility is mainly for tourists visiting the country and not for employed people, though they are leaving the country. Thanks for sharing your experience Amit. I’m sure others will find your comment helpful. Hi. Im a Bruneian who is travelling back from KL to Miri and then by land to Brunei. Can I still claim GST within 3 months of date of goods purchased when I travel next to KL departing to an international destination? If the purchase is withing the allowable time frame and you are departing from one of the designated international airports in Malaysia directly to an international destination, regardless of where you’ve been during that time, the information available indicates that you can make the claim. Hi Lesley, I read that during the process at the airport is to provide your Boarding pass or confirmed air ticket (as proof of departure). Do I have to present a physically printed doc or is an e-ticket is sufficient? Good question. As it’s a government department, I’d say probably yes, they may want to see a printed copy, at least for the boarding pass. But if you’re flying overseas, your airline will give you a printed boarding pass anyway when you drop your baggage. Just take that to them. just to check, i’m Singaporean, lets say i were to travel by land to and fro Malaysia to purchase a Camera Lens (rm4600). However, i will be flying to Penang from Singapore on May. Am i still qualified for TRS if i were to submit the form upon departure from Penang airport since technically it’s still within 3months prior departure. As you can’t make a claim when you leave by land, if you fulfil all the other requirements, You should submit your claim when you fly out. Approval is up to the authorities. They need to consider you a bona fide tourist and verify that the item matches to documents. Previously I have been travelling from Miri to KL using Air Asia, I’m a citizen of Brunei. But unfortunately I cannot claim my GST cause I’m using domestic flight. Need more clarify on above items. Hi Jakob, As far as I’m aware, there isn’t a verification counter at KL Sentral, please ask the check-in staff before you actually do your check-in, to confirm. If it’s only for hand carry items, you should still be able to do the verification when you get to KLIA. Hi there, I would to purchase a single PC component but many in terms of its quantity that will cost around RM279 per piece. I am just wondering if, let’s say I’ll buy 5pcs of it, would I still be able to travel back home with it? Can I be tax refunded? I haven’t seen much information regarding electronics and yes I’ve been to KL specifically Low Yat Plaza. Hi Pat, GST is no longer charged on all goods/services in Malaysia after 31st May 2018. As per our update: “*** UPDATE! Please note that Malaysia’s GST has been reduced from 6% to 0% with effect from 1st June 2018. You should still follow the instructions below to claim any GST paid on purchases made until 31st May.”. Hi Trie, Malaysia no longer charges GST on any purchases since 1st June 2018. Therefore there’s nothing to claim back.